Lincoln, Neb 12-4-2015. – The Stars acquired defenseman Alex Green from the Muskegon Lumberjacks in exchange for defenseman Christian Hausinger, the team announced on Thursday. Green has four shots and 12 penalty minutes in 8 games with the Lumberjacks this season. “Alex’s ability to skate and make good decisions with the puck both in open ice and under pressure are what makes him a player we want,” Stars GM Jon Hull said. Green stands at 6’1” 175 pounds and is committed to play at Cornell University. 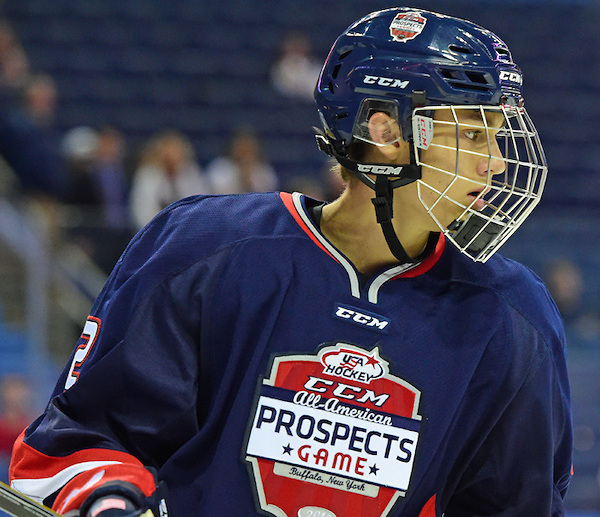 Green, a 1998 birth year, was a C-rated skater on the NHL Central Scouting Players to Watch List. “He will add depth to our blue line as well be a key piece of our D core in 2016-2017,” Hull said of Green. The Chicago, Ill. native played three USHL games last season after finishing a two-year stint with the U16 Chicago Mission where he recorded 11 points in 50 games.